SGNA's Strategic Plan--get the inside story of how it comes together! Are you on The Inside Tract? Assess competency with four simple questions. Check out the finest moments from our members! Know a nurse looking to transition to GI? Check out our new Transition to Practice Program! An SGNA Membership is the perfect way to advance your career and increase your visibility in the profession. Are you aware of infection prevention best practices? SGNA is your partner for infection prevention in gastroenterology. Critical information, practice documents, news alerts and other resources are collected and posted here. Identify your Champion to A.I.M. for infection prevention best practices. Do you know a nurse looking to transition to GI? Send them our new Transition to Practice Program. Explore two programs developed to advance gastroenterology nursing. Are You Looking for a New Partnership? 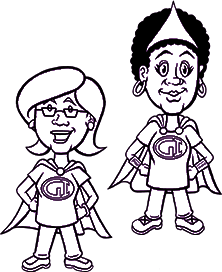 Meet thousands of real GI superheroes who are looking for products, services and resources to assist them in delivering the best patient care. Be part of our team! Read the latest news, trends and insights from SGNA. The SGNA Store has the products to help you and your team. Shop offerings to support education, training, certification preparation and more. SGNA members, login to your portal for managing your profile, preferences, payments and more. Access educational content, community groups, SGNA members, and active discussion forums that interest you.